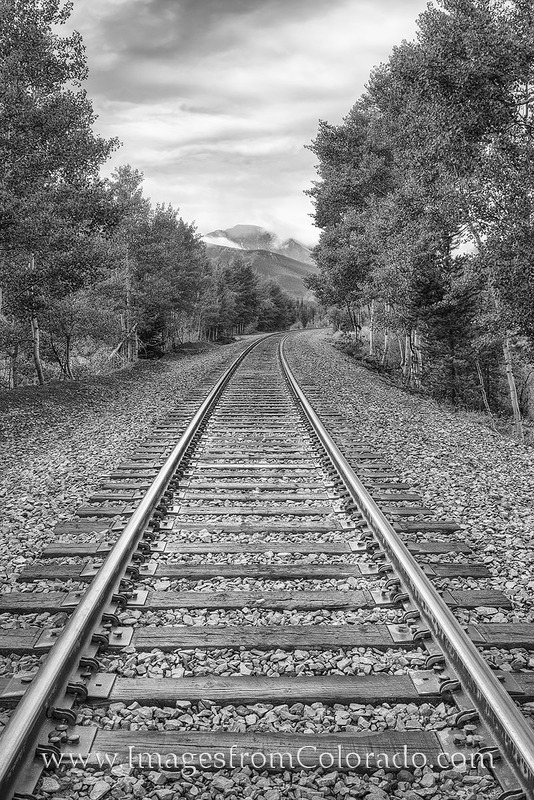 These train tracks near Winter Park Colorado lead up to Berthoud Pass and down into the Denver area. This black and white image was taken on a partly cloudy morning. I loved the leading lines here and couldn't pass up this opportunity. Photo © copyright by Rob Greebon.